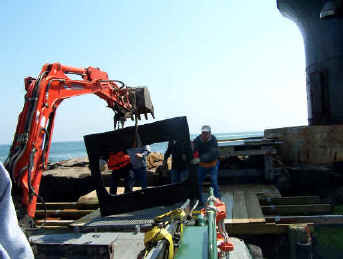 A brief window of calm spring weather settled over Delaware Bay earlier this week, giving the U.S. Army Corps of Engineers an opportunity to successfully deliver the new door and its frame/caisson patch to Harbor of Refuge Light Station and begin installation of the 800-pound improvements. 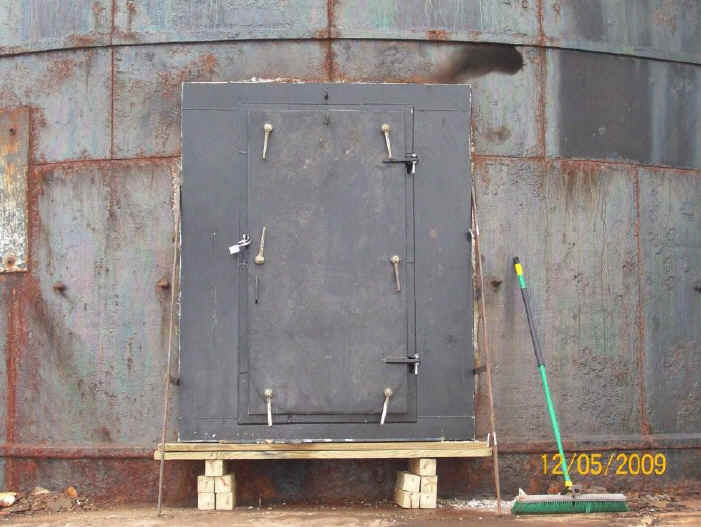 The new door and frame, manufactured by Railway Specialties Corp. of Bristol, PA, will be watertight and will dramatically improve the security of the entryway through the 100-year-old iron caisson. 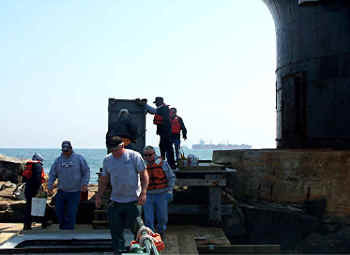 Installation should be completed next week, in plenty of time for the first tour of the 2009 season. 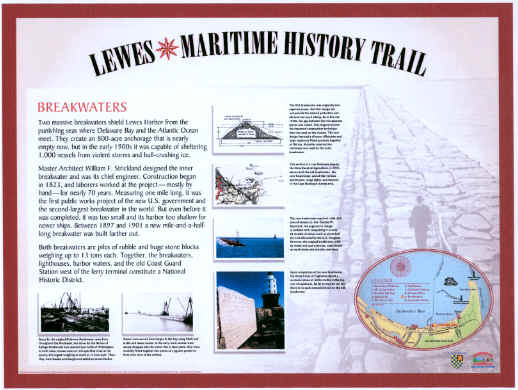 As part of a Preserve America Grant awarded to the City of Lewes in April of 2008, the city has created the Lewes Maritime History Trail to encourage off-season history-related tourism when many local attractions are not open. The sign trail recognizes ten historic subjects : The College of Earth, Environment and Ocean Studies, the Lewes Life Saving Station, the Overfalls Lightship, the shipbuilding industry, the War of 1812 bombardment of Lewes, Harbor of Refuge Light Station and Delaware Breakwater East End Lighthouse, the menhaden fishing industry, Delaware River and Bay pilots , the two Delaware Bay breakwaters, and the quarantine station that was located in what is now Cape Henlopen State Park. 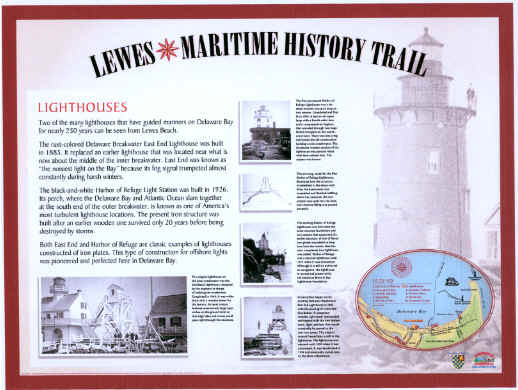 A dedication ceremony, hosted by Lewes Mayor James L. Ford III, will officially open the sign trail on May 29 at 3 pm near the Lewes Life Saving Station. The event is open to the public.